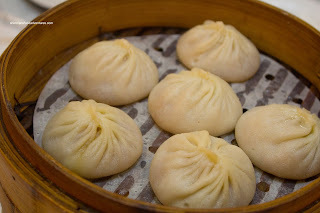 Normally, any discussion on the best Xiao Long Bao in the GVRD would involve such places as Shanghai River, Shanghai Wonderful, Chen's, Lin and Suhang. Notice that most of them are in Richmond. Seeing that was the case and Costanza had a hankering for XLBs, I went into panic mode. I honestly didn't want to drive all the way to Richmond. And it had nothing to do with the traffic or potential parking spot theft either. It really had to do with the been-there-done that phenomenon. We really needed to try somewhere else. But where? Well, eventually we found the place. 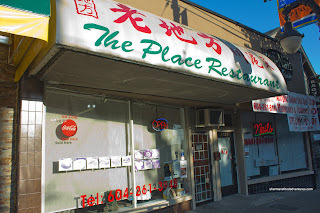 Really, literally it is called "The Place". Located on Gra nville near 64th, it is your typical hole-in-the-wall. Be sure to bring cash and also be prepared to order by number if you don't speak Mandarin and/or Cantonese. 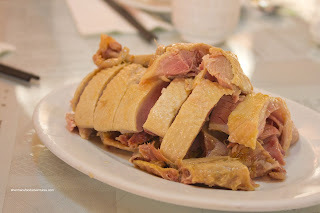 After some strange hybrid ordering on our part (we used a combo of number and Cantonese), we ended up starting with the Nanjing Salted Duck. This was a fairly large portion for the price where the duck was meaty and flavourful. It was a touch salty in parts (hence the name), but overall it wasn't too much so. The texture of the meat was very good. It was soft while still exhibiting some resistance. Now the Hot & Sour Soup was less successful. 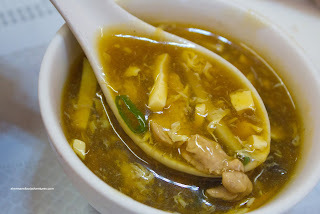 Although the soup itself had a nice silky consistency and was filled with plenty of ingredients, it was far too sour. In fact, we didn't even get much spice since the vinegar completely overwhelmed all of the other flavours. It's too bad really because I could sense the broth was pretty good even with the over-acidic qualities. Now for the main event - the Xiao Long Bao. We actually got 3 orders since Costanza's son could eat a whole steamer by himself (which he did). Similar to everywhere else these days, the XLBs were freshly made behind the counter. However, there was no flashy open kitchen nor any plexiglass display area. It was merely one person making them discreetly. Yet, the final product was far from reserved. Rather, it was in-our-faces (literally) with a considerable amount of flavourful soup. As the picture clearly demonstrates, the XLBs were so full of broth, it was "spreading" out. Sure, the dumping skin was not very uniform nor really ultra-thin, but it wasn't a big deal really. The hot, meaty broth was very good without being salty. The meat was slightly gr itty, yet not overly so. It was well-seasoned. Overall, a very impressive XLB with all factors considered. Another equally delicious item was the Stir-Fried Hand-Made Noodles with Vegetables. 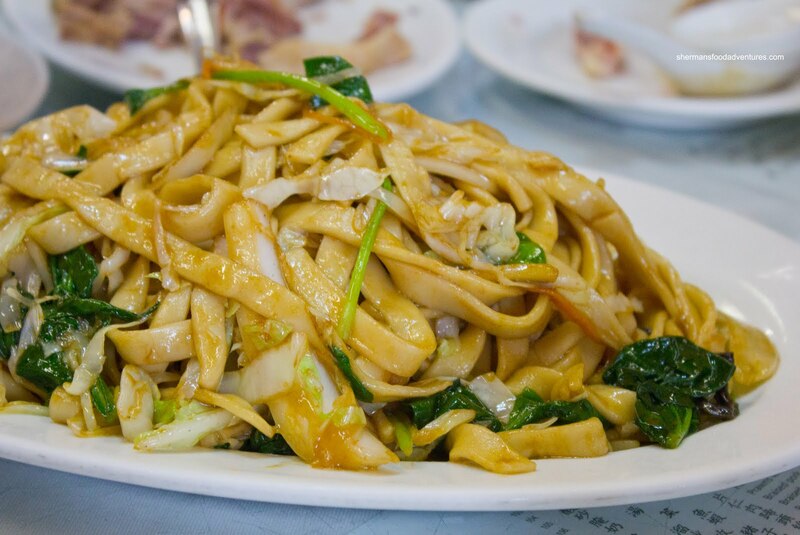 The thick flat noodles were perfectly al dente as with the crisp vibrant spinach and cabbage. There was just enough sauce to coat the noodles without making them soggy. The sauce itself was not too oily and had a nice caramelization from the high wok heat. 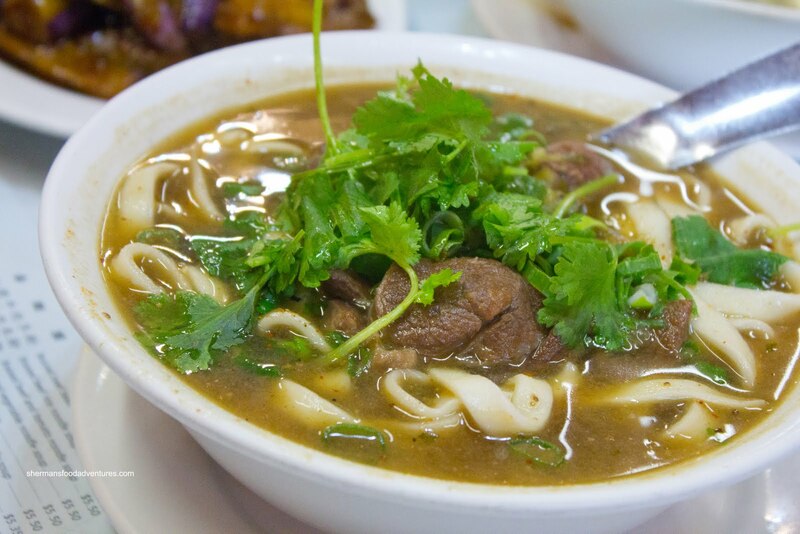 It's too bad that the same couldn't be said about the Szechuan Beef Noodle Soup. I personally didn't mind it too much because I like it spicy, but the rest of the table though it was too tongue-numbing from the Szechuan peppercorns. They felt it covered up the beefiness of the broth. It is quite possibly a matter of taste here since they were comparing it to the Taiwanese version which would be different than the one here. The noodles were al dente and equally as good as the previous dish. The beef shank, however, was quite dry and lacking flavour. 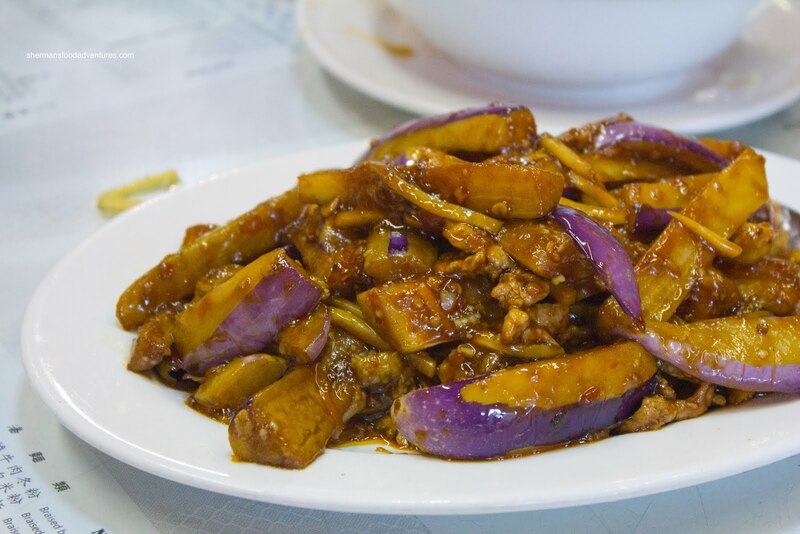 On the other hand, the Chili Eggplant was outright a flavour explosion. With perfectly cooked eggplant which was soft while still retaining a bite and bathed in a spicy sauce, we had to get some rice to take advantage of the it. Viv thought that the sauce was slightly too acidic, but I thought it was fine. There was plenty of spice, tart, sweet and savoury going on. For some odd reason, we made an error in our order. We somehow got the Pan Fried Beef Pastry rather than the pancake wrap. Our bad though, I guess ordering by number confused us. 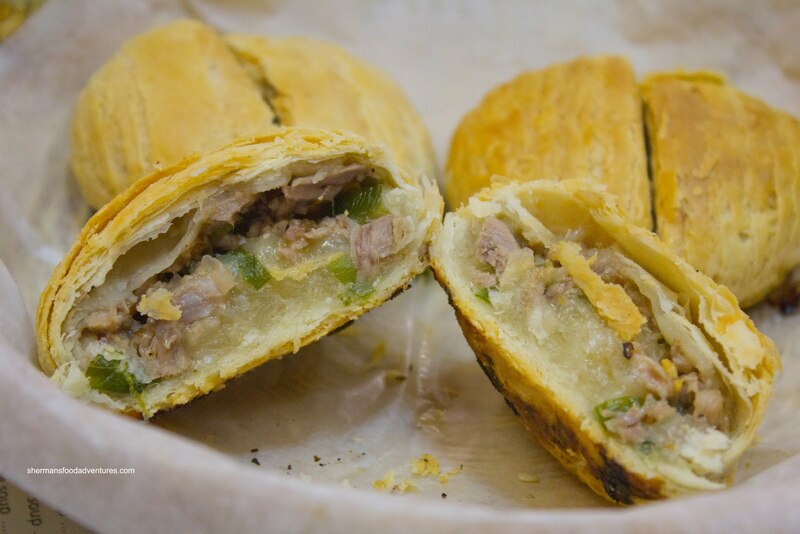 It turned out to be a good mistake though since the beef pastries were pretty good. I've had many of these before and they have been mostly fatty and frankly disgusting. Not here. The meat was moist, flavourful and not very oily. This allowed the outside to stay crisp while the dough on the inside was only minimally affected by the moisture. Lastly, after a bit of a wait, the BBQ Duck Pastry arrived. When we dug into it, we quickly realized why it took so long. They had actually made these from scratch and it really showed. The pastry was flaky on the outside and the darn thing was very hot! There was a good amount of duck flavour which was very appealing. However, I felt that a bit more seasoning would've made the pastry "pop" in our mouths. Whatever the case, the food in general made our mouths happy. Considering the price point, we were satisfied with the portions and execution. Naturally, there are other restaurants that serve up better food on a dish-by-dish basis, but they are more expensive and are not located in Vancouver. Besides, I'd return for the XLBs alone. I realize they are far from perfect, yet the abundance of tasty broth is almost unparalleled in Vancouver. I go here allllllllllll the time !!!! Honestly.. you are lucky you didn't get the beef pancake wrap. It is not very good and instead of scallions.. they use lettuce !!?!? Glad you like them overall. It's one of our faves for consistent quality, and great value. 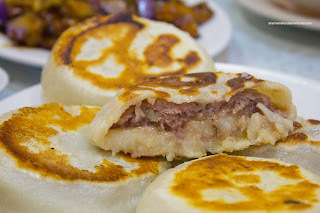 The XLBs are decent enough for us, actually better than some [cough] well-regarded Shanghai restos in Richmond. Yeah, my son can eat a whole steamer of XLBs too. He's even calling them "soupy buns", and at The Place, that name sure fits the bill.